Russia vowed to use “all available means” to try to broker peace in Libya as warlord Khalifa Haftar brushed aside U.S. warnings to press his military advance on the capital Tripoli. While the Kremlin has joined other global powers in urging a halt to fighting, it’s refrained from blaming Haftar for the outbreak of hostilities. Russia also blocked a more forceful statement singling out the strongman’s forces by the United Nations Security Council. 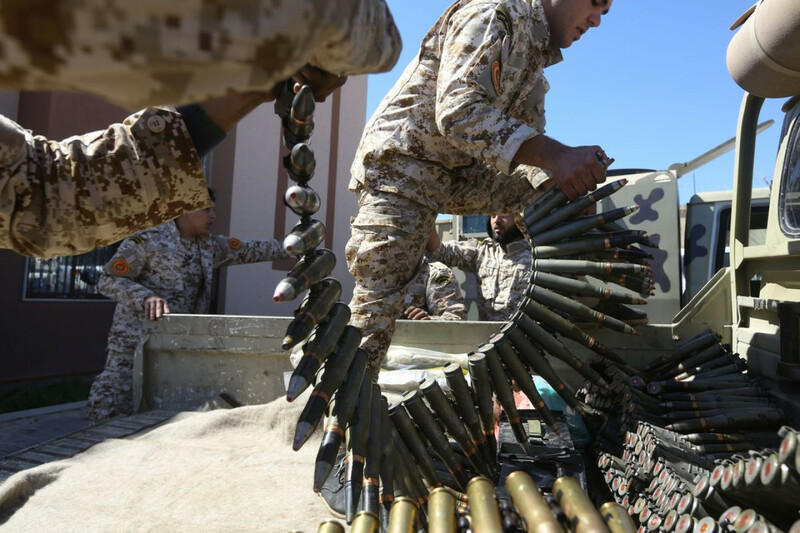 Russia along with the United Arab Emirates, Egypt and France has supported Haftar, who is moving his self-styled Libyan National Army west to Tripoli to fight what he says is “terrorism” after solidifying control of the east and sweeping through the south in January. While the offensive caught Moscow off balance, it sees the developments as a potential way to encourage a deal. Putin’s administration views Haftar’s actions as “an effort to demonstrate he’s a factor that has to be taken into account, to get bargaining chips,” said Andrey Kortunov, head of the Russian International Affairs Council, a research group set up by the Kremlin. Russian Foreign Minister Sergei Lavrov, who discussed the crisis with his Egyptian counterpart in Cairo on Saturday, criticized the use of air strikes against Haftar’s forces by opponents allied to UN-backed Prime Minister Fayez al-Sarraj. “Russia can do something in coordination with Egypt, if there are reciprocal steps by Sarraj, because there are efforts there to exclude Haftar from the political process, which is against Russian interests,” Kortunov said. Putin criticized the North Atlantic Treaty Organization-led air campaign that helped to oust Libyan dictator Moammar Qaddafi in 2011 as a “crusade.” While Russia has been building ties to all factions in Libya, including supporters of Qaddafi, it’s providing training to Haftar’s forces, according to Western diplomats. The problem with the military leader is that he’s not ready to compromise, said Vasily Kuznetsov, head of the Center for Arab and Islamic Studies at the Institute of Oriental Studies in Moscow. In a bid to advance mediation efforts in support of a planned UN-hosted national conference in mid-April, Russian Deputy Foreign Minister Mikhail Bogdanov has been conducting phone diplomacy, speaking to Haftar and rival Libyan figures.